The Australian east coast trip from Sydney to Cairns is one which everyone should do in their lifetime. It’s a backpacker’s dream—stunning beaches, great nightlife, amazing island-hopping trips, and an awesome travelers’ atmosphere. From scuba-diving, skydiving, waterfall-hunting, beach lounging, surfing, hiking, and so much more—the east coast is a haven for both adventure enthusiasts as well as the more relaxed traveler. Everyone you meet up the coast is in good spirits and there's an amazingly positive atmosphere. I recommend you spend at least a month on this trip, although some people spend several months exploring the coast because it’s so easy to arrive at a destination and not want to leave right away. Either way, I guarantee you’ll be comparing every travel experience to this one forever. Your epic road trip begins in the bustling, energetic city of Sydney. This city truly has so much to offer, from amazing restaurants, museums, iconic landmarks, stunning beaches, and an overall epic laidback, yet busy atmosphere. Obvious activities include a visit to the Opera House, a ferry ride through the harbor over to Manly Beach, a beach session on the famous Bondi Beach, and if you are brave enough, a treacherous climb up the Sydney Harbour Bridge. This city has a charm to it like no other, and I guarantee you won’t want to leave! 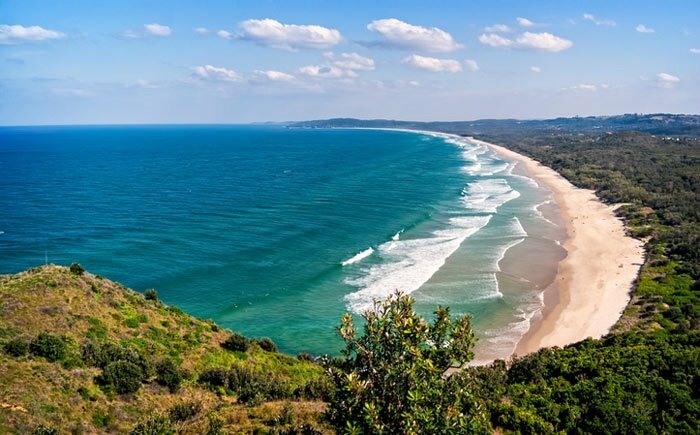 The first leg of the trip up to Byron Bay includes a number of beaches, national parks, breweries, quaint towns with cute cafés, and some epic spots to spend the night. The total drive time is nearly nine hours, however I guarantee you’ll want to stretch it out for a few days. Central Coast, Newcastle, Por Macquarie, Yamba, and Coffs Harbour are some notable spots that should be on the list. Coffs Harbour, a few hours from Byron Bay, is the perfect spot to spend a night before making the drive up there. Byron Bay is a favorite with many visitors, and once you visit you will understand why. It’s a hippie, surf enthusiast haven with phenomenal aesthetically-pleasing restaurants, amazing shopping, stunning beaches, musicians busking in the streets on the daily, and overall the most chill vibes imaginable. You have to catch both a sunrise and a sunset up at the lighthouse before you leave… if you ever do. It’s no surprise that the motto of the town is ‘Cheer up. Slow down. Chill out’. No one that visits this spot ever wants to leave, so I would block out a generous amount of time here. There are so many cool spots along the Gold Coast worth exploring. Surfers Paradise, while a little touristy, is a great place to experience some nightlife and a surf on the famous Surfers Paradise Beach with skyscrapers draping behind. However, the best beaches are the ones on the outskirts of the city—Burleigh Heads and Coolangatta. Make sure to catch a sunset at Burleigh—they are truly epic! Noosa, just a few hours north of the Gold Coast, is a quaint surf town which is known as the more relaxed, less busy version of Byron Bay. It’s another epic spot to learn how to surf, as well as a prime location for amazing coastal hikes through Noosa National Park, which offers plenty of beach pit stops along the way for a swim. 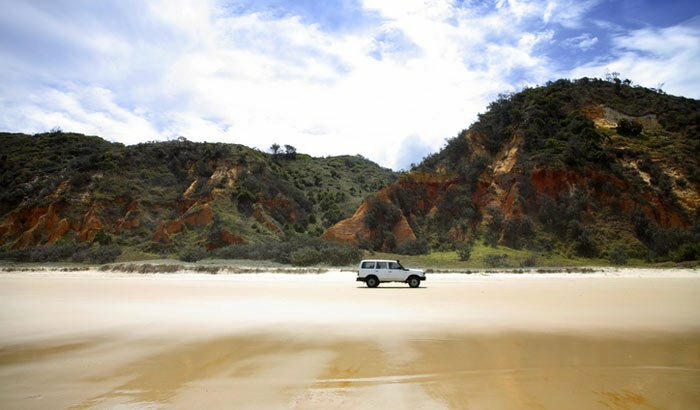 The next spot on the trip is Fraser Island, which is well worth the five-hour drive from Noosa. 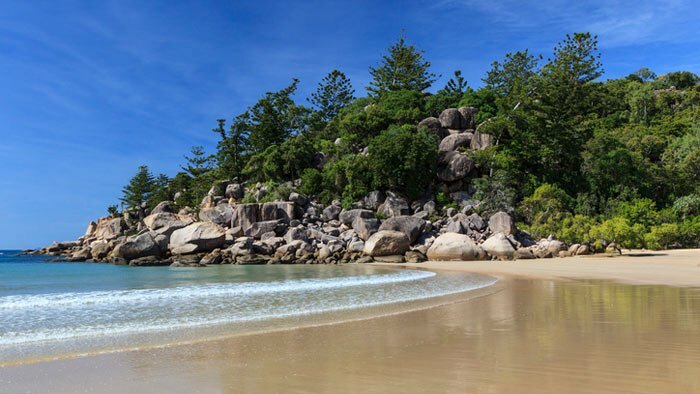 There are both one and three-day trips available to experience the island, where you will have the opportunity to take part in the popular Australian pastime of ‘4WDing’ (four-wheel driving) along the beach. I recommend you book a few days on the island though, as the starry nights are out of this world and there are so many amazing lakes to explore inland. Lake Mackenzie, a favorite of many, has a seemingly fake blue color, unlike any lake you will ever see. Snorkeling and island hopping by day… boat parties and star filled skies by night. I guarantee that sailing the Whitsunday Islands will be the highlight of your east coast trip. There are a ton of trip options available, from day trips to overnight ones, which will take you to all the amazing sights these islands have to offer. 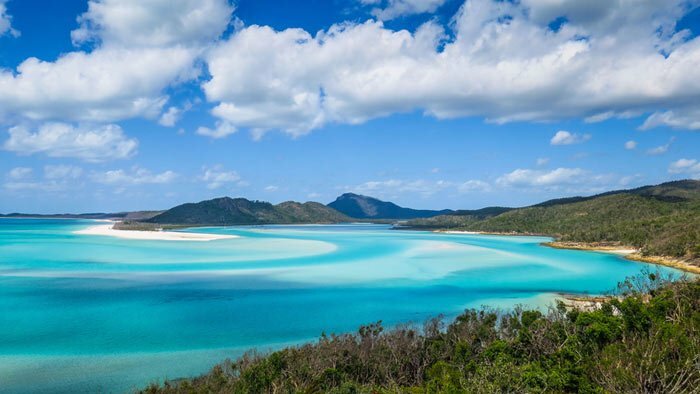 This is also the spot to see the famous Whitehaven Beach, which has to be seen to be believed. Get ready for a day of driving alongside the coast with the top down on your car, hopping from beach to beach. I know, life is tough. An island full of waterfalls, rainforest, and beaches—you will definitely not have a bad time visiting Magnetic Island. It’s not uncommon to spot koalas nestled in the trees and kangaroos hopping alongside the road, so keep your eyes peeled! Sadly your journey comes to an end here, however there’s still plenty of adventure and excitement to be had. 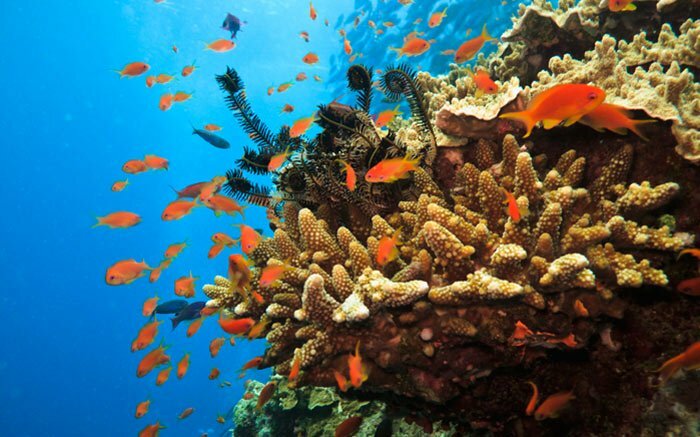 Cairns is home to the iconic Great Barrier Reef, where you can scuba dive to experience the amazing aquatic life. It’s also home to Daintree Rainforest, the oldest surviving tropical rainforest in the world, offering some spectacular waterfalls, beaches, and unique wildlife.